Since its release, Google has been furiously updating Data Studio with new features. 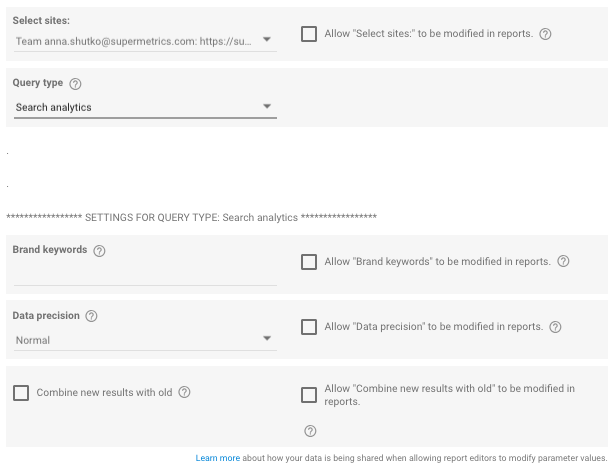 The latest whirlwind of offerings includes three new releases during the month of July: Search Console connector, Data Blending and the ability to more easily share your reports with a wider audience. Both provide opportunities to better view your data as well as add new data sources, including offline data. The new Search Console connector allows you to pull in 16 months’ worth of data, which is extremely useful, especially if you’re trying to identify different trends or if you want to do year-over-year comparisons. This feature is part of the larger Search Console rebuild to make the insights more actionable and to help you fix any issues that Google might identify. 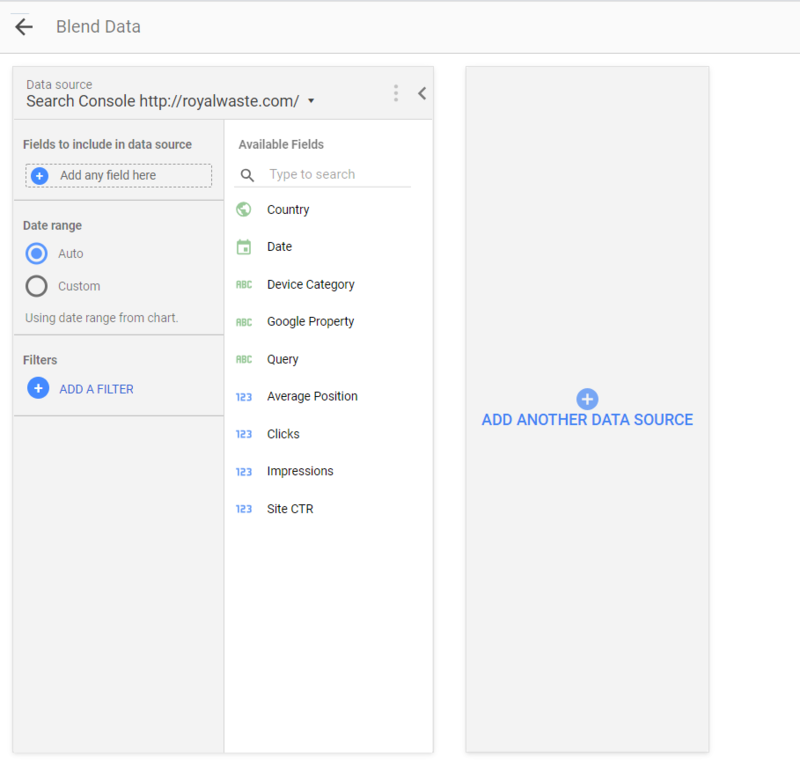 Supermetrics offers an updated Data Studio version for the Google Search Console connector as well: now you can distinguish between branded vs. non-branded search queries, control your data precision and keep historical data to fetch time spans longer than 16 months with the help of “combine new results with old” feature. Apart from that, new metrics and dimensions have been added to the connector. The mentioned updates, along with the newly added metrics are present in the Google Sheets version of the connector as well.You can find a comprehensive guide on how to use the new features from the article on Supermetrics blog. Have you ever wished to be able to see data outside of your Google Analytics, AdWords or similar platforms in Data Studio? If so, then you’re in luck. The ability to blend data pulled from various data sources in one chart or graph is now available. Known as Data Blending, you can combine data from different sources to create more comprehensive and useful reports. For example, if you’re trying to see which channels are doing better than others – or time frames different channels are more effective than others – this is the feature for you. With data blending, you can create charts built off of information from different data sources. Known as a blended data source, you can see connections between all your data points. To use this feature, you’ll have to join several data records into a single source. You can join up to four different sources. You can’t, however, connect all types of data points. They must share at least one dimension in common. This is known as the “join key”. Please note that you can only blend information in reports so these won’t show up in your Data Sources. So, if you’re trying to find the data sources in your Data Sources section, you won’t see them. This can be a little confusing at first, but you’ll get used to the setup pretty quickly. To start blending data, either create a new report or open an existing one. To get started, click on Resource, and select Manage blended data. Add your second data source. You must include at least one dimension as the join key. Once you have the join keys in place, you can hit save. You can then add the blended data into your report and create charts. 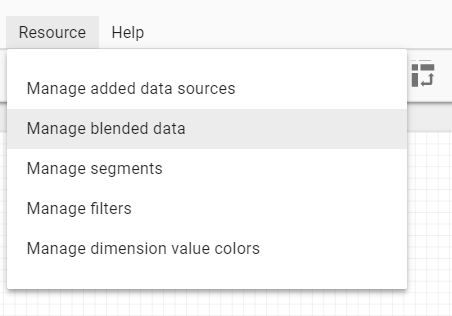 The Data Blending feature in Data Studio is a game changer. One of the best features of the expensive data analytics tools is the ability to pull in data from various sources, something that we couldn’t do previously in any Google tool. Now, we can utilize this data to produce comprehensive reports and to compare how well different outlets are working throughout the year. One recommendation: Be sure to pay attention to the guides to help you with the initial setup. There is a bit of a learning curve for this and may take one or two tries to get it right. You will find a more detailed guide on how to use this feature from Supermetrics support forum. You might be asking yourself for what can I use blended data? One idea is to compare the performance of different subdomains. Many marketers use subdomains strictly for marketing efforts, but sometimes you want to compare the effectiveness of, say, the main site with the marketing-only subdomain. In Data Studio, you could pull in both sets of data and look at them side by side. Now, you can determine how effective each landing page is, where users navigate to after they leave the page, ROI on efforts and more. You may even decide that one subdomain is doing better than another, meaning that you can shut down the landing page or stop sending traffic to it. You can also pull in third-party email data and website performance. Your email data source could include clicks, opens, etc. You can then pull in Google Analytics data to see their journey through the site and compare how different landing pages and messages affect the customers’ or potential customers’ actions. These are just a few ways to effectively use this new feature, but feel free to experiment! 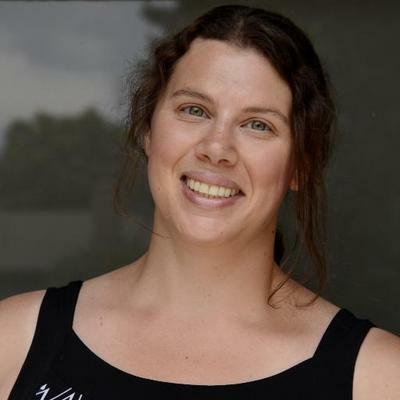 Try blending data from several Supermetrics Data Studio connectors to make your data analysis even more insightful. Before trying to disseminate a report via chat during a meeting, however, you should check with your IT team to determine if your internal chat platform supports Open Graph. If not, you will still have to share your reports the old way. It’s extremely easy to share your report to the different platforms. You simply need to copy and paste the report URL into post field or chat box. You’ll see a screenshot of the report along with the title, description and link to the report. Open the report in Google Drive. On the right of the description, you should see the pencil Edit icon. Click it. Add a new description, and press enter to save it. 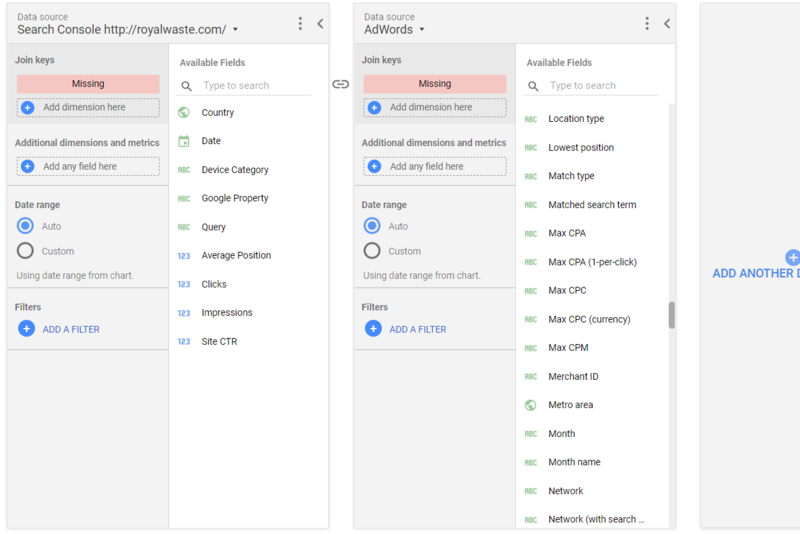 The goal of all of these varying updates is to make Data Studio more useful to we marketers as well as provide more useful data to our clients and stakeholders.The Search Console connector and the Data Blending feature are especially helpful when we want to provide comprehensive breakdowns of successes and failures, and longer-term trends. The more information that we can provide our clients, the easier it is to explain our positions and justify what we do. While most of us won’t need to share our reports on social networks – unless you’re doing it as part of a larger case study, to bolster your LinkedIn profile or for a similar need – many of us do need to often immediately share a report when on conference calls. So, the ability to drop it into a chat box could reduce the back and forth via email – i.e. waiting for the client to receive the report in their inbox – and allow us more time to actually discuss the results. The more use that we can get out of a free tool like Data Studio, the better our lives will be. These latest changes are welcome signs of more to come.